The preterite in English is the past tense. Therefore, Preterism is a view of the end of history that holds that these events have already occurred in the past. Historically, Preterism comes from the Latin term praeteritus, which means “gone by” or “past.” Theologians such as G.B. Caird, R.T. France, R.C. Sproul, Kenneth Gentry, and N.T. Wright hold to this view. Preterists date the book of Revelation to AD 65, believing that the events predicted in Revelation were fulfilled in AD 70 at the destruction of Jerusalem—five years later. When the book of Revelation teaches that Jesus will come to judge the Earth, Preterists believe that this was fulfilled in the destruction of Jerusalem. They believe that this coming was not a visible coming—but an invisible one—when the Romans destroyed Jerusalem in AD 70. 1. Full Preterism: Under this view, all NT eschatology has been fulfilled (e.g. return of Christ, the resurrection, final judgment). This view is utterly heretical, because it departs from orthodoxy on so many points. 2. Moderate (or Partial) Preterism: Under this view, the return of Christ and the bodily resurrection are still future, but the tribulation was fulfilled already in A.D. 70. They don’t deny the ultimate return of Christ, the resurrection, or the final judgment. At the very least, moderate Preterism is incredibly confusing and misleading and still deserves a thorough criticism. Since Full Preterism is so extreme, we will focus our study on Moderate Preterism. Therefore, when we use the term “Preterism” in this article, we are referring to Moderate or Partial Preterism. (Mt. 10:23) But whenever they persecute you in one city, flee to the next; for truly I say to you, you will not finish going through the cities of Israel until the Son of Man comes. Preterists argue that Jesus would return before the disciples were finished with their ministry. If Jesus invisibly returned in AD 70 at the destruction of Jerusalem, then this passage would be perfectly fulfilled. (Mt. 16:28; c.f. Mk. 9:1) Truly I say to you, there are some of those who are standing here who will not taste death until they see the Son of Man coming in His kingdom. Preterist Kenneth Gentry writes, “In Mark 9:1 Jesus promises that some of his hearers will not ‘taste death’ before witnessing ‘the kingdom of God come with power.’ This almost certainly refers to the destruction of the temple at the behest of Christ.” This verse seems to say that Jesus’ coming would occur before the apostles died. If Jesus spiritually and invisibly returned to destroy the Temple in AD 70, then this would make sense of this passage. Often Preterists argue that their view is healthy for apologetics, because it deals with this difficult passage. (Mt. 24:34) Truly I say to you, this generation will not pass away until all these things take place. According to the Preterist, Jesus seems to be saying that his audience (“this generation…”) would be alive for his coming. Regarding this passage, Gentry writes, “[Jesus] urges his hearers, as John does his own, to expect these judgments in their own lifetimes.” Preterists believe that his coming was in A.D. 70. (Mt. 24:29-30) “But immediately after the tribulation of those days THE SUN WILL BE DARKENED, AND THE MOON WILL NOT GIVE ITS LIGHT, AND THE STARS WILL FALL from the sky [Preterists translate this as “heaven”], and the powers of the heavens will be shaken. 30 And then the sign of the Son of Man will appear in the sky, and then all the tribes of the earth will mourn, and they will see the SON OF MAN COMING ON THE CLOUDS OF THE SKY with power and great glory. Preterists interpret this to mean that they see Christ’s judgment over Jerusalem. This was “visible” to every Jew. Isaiah 19:1 describes God as coming on the clouds to judge Egypt (“The Lord is riding on a swift cloud and is about to come to Egypt”). Preterists argue that this isn’t supposed to be taken as literal—simply apocalyptic language. (Mt. 24:31) And He will send forth His angels with A GREAT TRUMPET and THEY WILL GATHER TOGETHER His elect from the four winds, from one end of the sky to the other. Preterists interpret this as apocalyptic language, and thus, figurative—just like when Babylon is destroyed (c.f. Isa. 13:10, 13; Ezek. 32:2, 7-8; Jer. 4:11, 23-24, 29; Joel 2:1, 10). (Rev. 1:7) Behold, He is coming with the clouds, and EVERY EYE WILL SEE HIM, even those who pierced Him; and all the tribes of the earth will mourn over Him. “Even those who pierced Him…” Matthew writes that the Jewish crowds cheered for Jesus to be crucified, and as a result, they deserved the judgment of this grave mistake (Mt. 27:22, 25). Jesus claimed that the first-century Jews were responsible for his death (Mt. 20:18; Lk. 9:22) as did the apostle Peter (Acts 2:22-23, 36; 3:14-15; 4:10; 5:30; 10:39) and Paul (1 Thess. 2:14-16). As a consequence, they were to be judged for this horrific sin (Mt. 21:33-44). Gentry writes, “John’s reference to Christ’s piercing demands a first-century focus if the theme is to be relevant and true, for those who pierced him are now long since deceased.” Since the people at the end of human history didn’t pierce Christ, this wouldn’t be applicable to them. “Coming on the clouds…” Preterists argue that the language of “coming on the clouds” comes from prophetic OT scenes signifying divine judgment (Isa. 19:1; see Ps. 18:7-15; 104:3; Joel 2:1-2; Mic. 1:3-4). Thus this passage refers to all of the first century Jews “seeing Christ” when he invisibly came in judgment over Jerusalem. Now that we’ve articulated the case for Preterism, let’s consider the critique of Preterism. REASON #1: The book of Revelation does not date to AD 65, as Preterists claim. REASON #2: The early Church Fathers disagreed with Preterism. Two advents of Christ have been announced: the one, in which He is set forth as suffering, inglorious, dishonoured, and crucified; but the other, in which He shall come from heaven with glory, when the man of apostasy, who speaks strange things against the Most High, shall venture to do unlawful deeds on the earth against us the Christians… the rest of the prophecy shall be fulfilled at His Second Coming. Normally, historical arguments are not decisive in choosing between interpretive options. But in this case, the preterists insist that those who lived in A.D. 70 would have understood that the destruction of Jerusalem meant that Jesus had come in judgment. Yet early church writings clearly do not reflect that understanding; indeed, those closest to the destruction of Jerusalem embraced the very futurism that the preterists reject. Those who should be the preterists’ most potent allies—those closest to A.D. 70—utterly contradict preterist doctrine. Early church writings are a telling blow against Preterism. Preterists commonly tell us how important it was that prophecy relate directly to those who were the first-century recipients. Yet all admit that there is no actual evidence that any first-century believers benefited from what they were supposedly living through. When he discusses the matter, Dr. Gentry is unable to produce any first-century or early second-century preterists from church history. In fact, Dr. Gentry admits that systematic preterism can only be traced by to 1614. Christians did flee the city of Jerusalem in AD 66, because Jesus commanded this in the gospel of Luke (Lk. 21:20-24). Futurists agree on this interpretation of Luke’s account. But the rest of the Olivet Discourse was not interpreted in this way. Preterists believe that Matthew 24 describes the destruction of the Temple in AD 70, and thus, it has already been fulfilled. But this cannot describe the destruction of the Temple. Preterists claim that the gospel has reached all nations, because this is simply hyperbolic language (Rom. 1:8; 10:18; 16:19; Col. 1:6, 23; Lk. 2:1). While the “world” can sometimes refer to the Roman Empire, it can also refer to the entire globe (Acts 17:31). Thus we need discernment to tell which is which here. 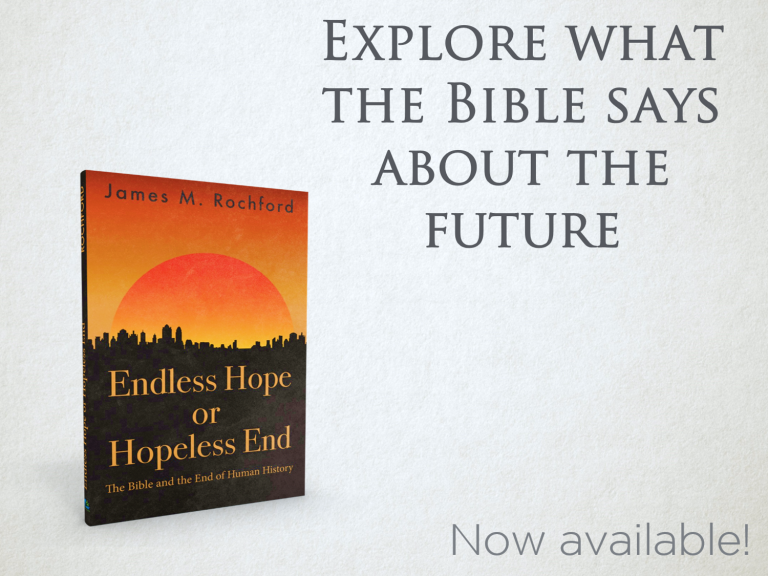 Since Jesus says that this would occur at “the end,” this refers to the end of human history. The context for this statement is Matthew 24:3, which is the end of the world. Thus when Jesus says, “And then the end will come” (v.14), he is thinking of the end of human history. Moreover, his expression (“all the nations”) is used in Matthew 28:19. There, the same expression refers to the entire globe. Jesus says, “Go therefore and make disciples of all the nations” (Mt. 28:19). Preterists would agree that the Great Commission is for the entire globe—not just the Roman Empire. This only shows the inconsistency of their view. Clearly Jesus had the Temple in mind when he was referring to the abomination of desolation. Historically, the Jewish War began in AD 66. The battle lasted until AD 70. The city was sieged. The people were slowly starved out and killed. At the end of the war, the Romans destroyed the Temple of Jerusalem (AD 70). Under the Preterist view, this was what Jesus was speaking about in Matthew 24:15. However, what use is Jesus’ command to flee to the mountains in verse 16 (“then those who are in Judea must flee to the mountains”)?? Think about this. If the disciples saw the abomination of desolation in AD 70, what use would it be to tell them to flee? This would be like telling the people of Hiroshima to flee the city when they see the mushroom cloud. It’s too late to flee at this point. Jesus says that “no life would have been saved” unless this period of history was cut short. This Greek expression is used ten times in the NT (Mt. 24:22; Mk. 13:20; Lk. 3:6; Jn. 17:2; Acts 2:17; Rom. 3:20; 1 Cor. 1:29; 15:39; Gal. 2:16; 1 Pet. 1:24). Futurist Stanley Toussaint writes, “In every case except 1 Corinthians 15:39 the expression describes all humans. In that passage Paul was discussing the nature of the resurrection body: ‘All flesh is not the same flesh, but there is one flesh of men, and another flesh of beasts.” Here he used the phrase in an even broader sense to designate all human and animal life.’ Thus this cannot refer to the destruction of the Temple in AD 70. Preterists contend that Jesus came in a symbolic way through the Roman Empire in AD 70 “on the clouds of the sky.” In the OT, God’s judgment is often given out in a symbolic way through “clouds” (Ps. 104:3; Isa. 19:1). However, while it is true that clouds are often a symbol for God’s judgment, this is always a judgment against the enemies of Israel, rather than Israel herself. In fact, when we read through the predictions of this era in the OT, we see that God destroys the enemies of Israel—not Israel—as Preterists claim. For instance, Zechariah writes, “In that day I will set about to destroy all the nations that come against Jerusalem” (Zech. 12:9). In order for the Preterist reading to stand, Zechariah would have to be dead wrong (cf. Ezek. 38). REASON #4: Preterism uses an inconsistent hermeneutic. First, the TIME FRAME of the Olivet Discourse is literal, but the EVENTS are figurative. For instance, Kenneth Gentry writes, “The context of Luke demands a literal Jerusalem (Luke 21:20) besieged by literal armies (Luke 21:20) in literal Judea (Luke 21:21)—which as a matter of indisputable historical record occurred in the events leading up to AD 70.” Likewise, R.C. Sproul—a moderate Preterist—writes, “We can interpret the time-frame references literally and events surrounding the parousia figuratively. In this view, all of Jesus’ prophecies in the Olivet Discourse were fulfilled during the period between the discourse itself and the destruction of Jerusalem in AD 70.” However, they interpret the rest of this passage to be figurative and symbolic. Second, Preterists believe that some references to the parousia refer to the first century, while others refer to the Second Advent. For instance, Preterists believe Acts 1:11 refers to the second coming. Likewise, Preterists believe that Matthew 24:27-30 refers to Jesus’ “coming” (parousia) in the first century, but Matthew 24:37-42 refers to Jesus’ “coming” (parousia) at the Second Advent. Jesus taught that his coming would not be a secret event. Instead, it would be clear and public. In fact, the way that we can discern false teachers is if they claim that Jesus had already come. Jesus himself said, “So if they say to you, ‘Behold, He is in the wilderness,’ do not go out, or, ‘Behold, He is in the inner rooms,’ do not believe them. 27“For just as the lightning comes from the east and flashes even to the west, so will the coming of the Son of Man be” (Mt. 24:26-27). This passage claims that Jesus will not come in secret. It will be clear and public. Likewise, Paul taught, “Now we request you, brethren, with regard to the coming of our Lord Jesus Christ and our gathering together to Him, 2that you not be quickly shaken from your composure or be disturbed either by a spirit or a message or a letter as if from us, to the effect that the day of the Lord has come. 3Let no one in any way deceive you” (2 Thess. 2:1-3a). The false teachers claimed that Jesus had already come, and Paul told them that this was false. (Mt. 24:2) Why doesn’t Matthew (or Mark) mention the destruction of the Temple in AD 70? (Rom. 1:8) What does Paul mean when he says that their faith reached the “whole world”? (1 Pet. 4:7) Did Peter think Jesus would return soon? Doesn’t a futurist interpretation deny first-century readers any understanding or application? Pentecost’s book is a textbook arguing for a dispensational, premillennial perspective. He addresses this subject from a systematic theological perspective. Benware’s book is a textbook arguing for a dispensational, premillennial perspective. He addresses this subject from a systematic theological perspective. His book is much more readable than Pentecost above. Walvoord, John F. The Millennial Kingdom. Findlay, OH: Dunham Pub., 1959. Walvoord was the president of Dallas Theological Seminary for a number of years, and he is a respected evangelical scholar. His book offers a standard dispensational, premillennial viewpoint. Thomas, Robert L. Revelation 1-8: An Exegetical Commentary. Chicago: Moody, 1995. Thomas’ commentary is considered the most in-depth technical commentary from a dispensational, premillennial perspective. Hoehner, Harold W. Chronological Aspects of the Life of Christ. Grand Rapids: Zondervan Pub. House, 1977. Ice, Thomas, and Kenneth L. Gentry. The Great Tribulation, past or Future? : Two Evangelicals Debate the Question. Grand Rapids, MI: Kregel Publications, 1999. This is a debate format between Preterism and Futurism. Ice’s chapters are excellent. Green, Donald E. A Critique of Preterism [Unpublished Paper]. Found here. Mayhue, Richard. “Jesus: A Preterist or Futurist?” TMSJ 14/1 (Spring 2003) Found here. Toussaint, Stanley. “A Critique of the Preterist View of the Olivet Discourse.” Bibliotheca Sacra. 161 (October-December 2004): 469-490. Found here. Hitchcock, Mark. “A Critique of the Preterist View of Revelation and the Jewish War.” Bibliotheca Sacra 164 (January-March) 2007. 89-100. Hitchcock, Mark. “A Critique of the Preterist View of Revelation 17:9-11.” Bibliotheca Sacra 164 (October-December) 2007: 472-485. Hitchcock, Mark. “A Critique of the Preterist View of the Temple in Revelation 11:1-2.” Bibliotheca Sacra 164 (April-June 2007): 219-236. Hitchcock, Mark. “A Defense of the Domitianic Date of the Book of Revelation.” Found here. DeBruyn, Lawrence. “Preterism and ‘This Generation.’” Bibliotheca Sacra 167 (April-June) 2007: 180-200. Bahnsen, Greg L., and Kenneth L. Gentry. House Divided: The Break-up of Dispensational Theology. Tyler, TX: Institute for Christian Economics, 1989. DeMar, Gary. Last Days Madness: Obsession of the Modern Church. Atlanta, GA: American Vision, 1999. France, R. T. The Gospel of Matthew. Grand Rapids, MI: William B. Eerdmans Pub., 2007. Sproul, R.C. The Last Days According to Jesus. Grand Rapids: Baker, 2004. 66. Cited in Benware, Paul N. Understanding End times Prophecy: a Comprehensive Approach. Chicago: Moody, 2006. Wright, N. T. Christian Origins and the Question of God. Minneapolis: Fortress, 1992. Gentry, Kenneth. “A Preterist View of Revelation.” Four Views on the Book of Revelation (S. N. Gundry & C. M. Pate, Ed.). Zondervan Counterpoints Collection. Zondervan. Grand Rapids, MI. 1998. Gentry represents a standard Preterist viewpoint in this book. The other theologians offer rebuttals to his perspective. Gentry, Kenneth. “A Preterist View of Revelation.” In S. N. Gundry & C. M. Pate (Eds. ), Four Views on the Book of Revelation (S. N. Gundry & C. M. Pate, Ed.). Zondervan Counterpoints Collection. Grand Rapids, MI: Zondervan. 1998. 43. Gentry, Kenneth. “A Preterist View of Revelation.” In S. N. Gundry & C. M. Pate (Eds. ), Four Views on the Book of Revelation (S. N. Gundry & C. M. Pate, Ed.). Zondervan Counterpoints Collection. Grand Rapids, MI: Zondervan. 1998. 48. Mayhue, Richard. “Jesus: A Preterist or Futurist?” TMSJ 14/1 (Spring 2003). 14-15. Cited in Mayhue, Richard. “Jesus: A Preterist or Futurist?” TMSJ 14/1 (Spring 2003). 22. Justin Martyr Dialogue with Trypho (Chapter 110). Green, Donald. A Critique of Preterism [Unpublished Paper]. See Gentry and Bahnsen House Divided, 283. Ice, Thomas, and Kenneth L. Gentry. The Great Tribulation, past or Future? : Two Evangelicals Debate the Question. Grand Rapids, MI: Kregel Publications, 1999. 160. Epiphanius (church historian—late fourth century AD) writes, “The Nazoraean sect exists in Beroea… Pella, and in Bashan… That is where the sect began, when all the disciples were living in Pella after they moved from Jerusalem, since Christ told them to leave Jerusalem and withdraw because it was about to be besieged” (Epiphanius, Panarion 29:7:7-8). Likewise, Eusebius (church historian—early 4th century AD), “But the people of the church in Jerusalem had been commanded by a revelation, vouchsafed to approved men there before the war, to leave the city and to dwell in a certain town of Perea called Pella” (Eusebius, History of the Church, 3.5.3). See, for example, Darrell Bock’s treatment of the Olivet Discourse. Bock, Darrell L. Luke: 9:51-24:53 (Baker Exegetical Commentary on the New Testament). Grand Rapids, MI: Baker, 1996. Stanley Toussaint “A Critique of the Preterist View of the Olivet Discourse” Bibliotheca Sacra 161 (October–December 2004): 472-473. Stanley Toussaint “A Critique of the Preterist View of the Olivet Discourse” Bibliotheca Sacra 161 (October–December 2004): 481. Gentry, Kenneth L. Before Jerusalem Fell: Dating the Book of Revelation: An Exegetical and Historical Argument for a Pre-A.D. 70 Composition. Tyler, TX: Institute for Christian Economics, 1989. 176. Cited in Ice, Thomas, and Kenneth L. Gentry. The Great Tribulation, past or Future? : Two Evangelicals Debate the Question. Grand Rapids, MI: Kregel Publications, 1999. 97. Sproul, R.C. The Last Days According to Jesus. Grand Rapids: Baker, 2004. 66. Cited in Benware, Paul N. Understanding End times Prophecy: a Comprehensive Approach. Chicago: Moody, 2006. 158. Gentry, Kenneth L. He Shall Have Dominion: A Postmillennial Eschatology. Tyler, TX: Institute for Christian Economics, 1992. 276. Cited in Ice, Thomas, and Kenneth L. Gentry. The Great Tribulation, past or Future? : Two Evangelicals Debate the Question. Grand Rapids, MI: Kregel Publications, 1999. 101.